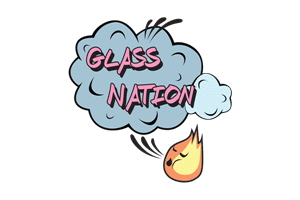 Glass Nation is a huge fan of Grav Labs and strives to have the larges selection possible of Grav Labs glass pipes. Firstly, Grav is based in Austin, Texes where they make a select batch of their products. Additionally, they use the highest grade borosilicate glass available on the market. Also, they also make some of their products out of quartz which is totally made of silica. Grav makes some of the coolest looking scientific glass pipes on the market. Furthermore, they are a world leader in creating some of the most epic glass art designs online. You won’t be disappointed with this glass brands high quality designs. Every product that they come out with is made with the highest standards in mind. You won’t be disappointed by these state of the art designs. Impress your friends and family with these remarkable borosilicate glass smoking pipes. Don’t settle for anything but the best.